Understandably, moderate to hard-core MDC-T supporters are blowing fuses on social media, because their icon is being asked to contest in a primary election. 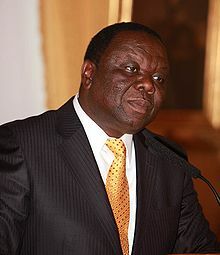 Dr. Morgan Richard Tsvangirai, affectionately referred to as Save, is the father of democracy in Zimbabwe. This former firebrand unionist of the 90s, faced the wrath of an aggrieved and frightened Zanu PF in the 2000s, as the leader of MDC, and he refused to stand down. 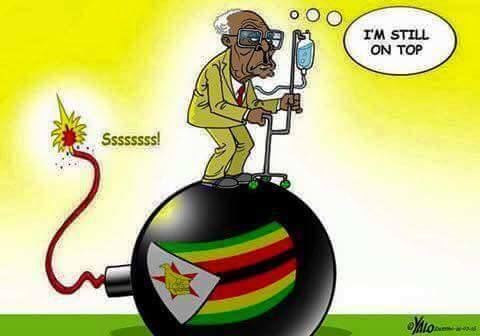 Zanu PF literally threw the kitchen sink at him as he founded the strongest opposition party in post-independent Zimbabwe. 2008 was a year apart. After suffering varying and embarrassing defeats to Dr. Tsvangirai, Zanu PF had lost international credibility and was beyond any threats. Zanu PF hurled the sink, kitchen and bedroom at the rolling red waves, led by a fearless and uncompromising Morgan Tsvangirai. The regime went as far as inflicting grievous bodily harm on a presidential candidate. Images of Morgan's battered face were plastered across the world media, and the face of democracy in Zimbabwe was born. Almost ten years later, Zanu PF continues to have a death grip on a poverty ridden Zimbabwe. Dr Tsvangirai is still at the helm of his red wave, as the battle against a tenacious dictatorship that has mastered the art of rigging elections with every trick in the book, continues unabated. Zimbabwe slowly marches towards yet another election in 2018, and this time opposition parties are a dime a dozen. 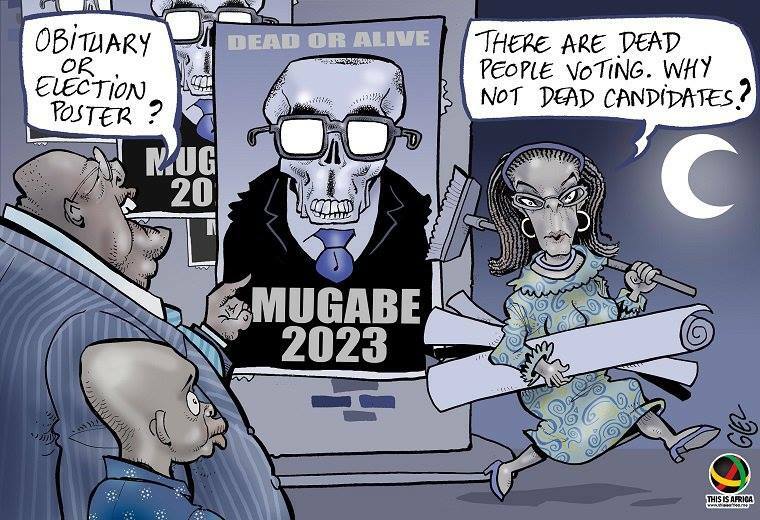 The dictator tag traditionally reserved for Robert Mugabe, has found a new target recently in Morgan Tsvangirai. Most independent, former and indeed some current MDC-T supporters, are muttering this word in relation to his 17 year stint as President of the MDC-T. His health also recently took a battering when he was diagnosed with colon cancer. Some saw the appointment of three vice presidents in his party, as a sign that he is no longer able to handle his duties. Be that as it may, there is one truth that can not be wished away; Morgan Tsvangirai remains the face of opposition politics in Zimbabwe. He cuts across social strata; tribe, income levels, gender and age spectrum. He is a recognisable brand with a well-known history across the nation. He may be despised, but cannot be ignored. Key figures have left his party and none has managed to become half as prominent as he is. Yet little known organisations like CitizensZW, most opposition leaders and some ordinary people, insist that he must subject himself to a nationwide primary contest for the position of Coalition President. "The Gukurahundi genocide must not be addressed by the National Peace and Reconciliation Commission Bill (NPRC) as it will open old wounds", Zanu PF lawmakers have said. Zanu PF Bindura South legislator Remigious Matangira told the National Assembly on Tuesday during the NPRC Bill debate that the proposed legislation made the nation remember an unpleasant massacre. “You now want to open old wounds that had healed. If a husband and wife fought last week, would they continuously be revisiting the reason for the conflict? Would there be peace in that particular home? Let us be nation builders,” he said. The Gukurahundi massacres saw up to 20 000 villagers and opponents of President Robert Mugabe killed in the mid-1980s, with the deployment meant to crush rebellion by ex-Zapu guerrillas. Memories of the killings, carried out by Mugabe’s North Korean-trained Fifth Brigade in the south of the country, are strong among many in Zimbabwe’s Ndebele ethnic group and contribute to their distrust of the Mugabe-led government. Most of those killed were Ndebele. Mugabe and Zapu’s Joshua Nkomo signed a unity accord in 1987, leading to the integration of PF-Zapu and Zanu PF. Mugabe offered a partial apology for the killings in 1999, saying they were “a moment of madness”. Zanu PF Buhera West legislator Oliver Mandipaka said the issue was addressed by Nkomo and Mugabe. “You cannot have a Truth and Reconciliation Commission 17 years past the conflict. What are we trying to achieve here? I am at pains to accept this Bill because if you look at countries that have no peace and have disturbances, it is because of these issues that we are trying to bring into existence. These are issues to do with tribes, ethnicity and so forth. MDC Mkoba house of assembly representative Amos Chibaya said there was a demon that was making people reject the Bill. “The people of Zimbabwe were very clear that they need a Peace and Reconciliation Commission. “It is disappointing honourable Speaker that as MPs who represent the same people, we are going against this. “This Bill seeks to align our legislation with the provisions of the new Constitution and I do not see anything wrong with it. I am seeing a demon in this House. I do not see the reason why.” Chibaya was called to order by Speaker Jacob Mudenda who said there were no demons in the august House. “I do not know which part of this country they represent. If they represent the people of this country, they cannot go against the Bill. MDC legislator for Mutasa Central Trevor Saruwaka said MPs must be reminded that the Bill was coming as a result of a constitutional provision. “It is not for us today to then say we must strike it off and not establish this Commission,” Saruwaka said. “It is also instructive that those responsible for perpetrating violence and pain among the Zimbabweans will probably be happy if we are to stop this process and let by-gones be by-gones but in reality, the nation does not heal that way. HARARE - President Robert Mugabe’s administration is at odds over proposed currency reforms, with divergent views emerging about adopting the South African Rand as Zimbabwe’s anchor currency. Fiscal and monetary authorities sharply differ over proposals to make the Rand the currency of choice ostensibly because of Zimbabwe’s strong trade links with South Africa. Reserve Bank governor John Mangudya has ruled out Rand adoption, telling a local weekly it will also be “externalised” just like the US dollar, which has vanished from the open market. “What guarantee do we have that if we adopt it as our major currency it won’t suffer the same fate of externalisation and hoarding? Worse still, it only takes a few hours to reach South Africa,” he said. Zimbabwe’s currency basket has over the years become dominated by the greenback due to its global appeal and demand. As a result, externalisation has been rife, with independent estimates pointing out the country needs close to $1 billion in cash to plug its dollar deficit and return to liquid normalcy. But Mangudya has said the Rand has been part of the multi-currency basket since 2009. The nation abandoned its own currency in April 2009 as runaway inflation rendered it worthless, opting instead for a basket of currencies that includes US dollars, South Africa’s Rand, the Pound and Botswana’s pula. “We continued to use it (the Rand) until such a time when some unscrupulous dealers started rejecting it,” Mangudya said. “For that reason, if South Africa agreed to let Zimbabwe adopt the rand, the terms of that agreement would be highly conditional,” he told the Daily News on Sunday. “Zimbabwe would have to meet all the requirements of the Common Monetary Area, made up of South Africa, Lesotho, Namibia and Swaziland. “When Namibia became independent and chose to remain a member, this was renamed the Multilateral Monetary Agreement and all four members, together with Botswana, belong to the Southern African Customs Union. “This makes movements of capital and goods very mobile across the region, but disciplines have to be imposed by the South African Reserve Bank on the central banks of the member countries to keep the arrangements under control. South Africa would have to impose the same disciplines on Zimbabwe. But University of Zimbabwe economics professor Ashok Chakravarti said there were are no economic issues in adopting the rand tomorrow. “All it needs is a simple law, a statutory instrument from government with an exchange rate re-denomination of all US dollar balances, salaries and prices,” said Chakravati, who is also Mugabe’s economic advisor. No permission had to be requested from the United States to make the US dollar Zimbabwe’s functional currency. “This is because the US dollar is an international reserve currency,” Robertson explained. “But it was a good choice as all Zimbabwe’s exports are priced in US dollars,” he said. Despite authorities injecting more bond notes into the market and increasing their weekly importation of US dollars by 50 percent, the government continues to battle to stem the country’s severe cash shortages which have seen desperate Zimbabweans besieging overstretched banks as they despairingly try to withdraw their money. At the same time, analysts have warned that the accelerating disappearance of the fiat currency — bond notes, which were meant to mitigate the country’s acute cash crunch — was worsening the panic and spurring increasing calls for rand adoption. Tinashe Kaduwo, an economist at financial research firm Equity Axis, said adopting the rand may entail formally joining South Africa’s monetary union. “It may imply opening up our borders, removing all trade barriers and allowing free movement of capital, labour and goods between the two countries. “One major disadvantage of a monetary and trade union between a weaker and stronger economy is that it favours more the stronger economy,” he said, warning of a decrease in real purchasing power and industrial competitiveness; increasing unemployment and social disintegration given structural deficiencies in Zimbabwe’s productive sectors. Chantelle Matthee, an analyst at NKC African Economics said the real issue relates to how Zimbabwe is going to gain access to sufficient amounts of the currency for it to improve domestic liquidity, be it through a pegged arrangement or simply adopting a foreign currency as the sole exchange medium in the country. “Adopting the Rand should make trade between Zimbabwe and South Africa easier, but domestic production would still need to be ramped up for Zimbabwe to generate more Rands through exports, and the mere adoption of the rand would not necessarily incentivise increased domestic output, especially if the currency comes under pressure and exporters prefer to be paid in US dollars,” she told the Daily News on Sunday. Robertson said to have money; the country must be very productive and competitive. “Or we could borrow it, but every lender wants to be repaid, so they will lend to us only if we are productive and competitive enough to earn the money needed to repay them,” he said. Zimbabwe owes more than $1 billion in World Bank arrears and another $600 million-plus to the African Development Bank. Robertson said Zimbabwe has worn out the generosity of its friends. “The ones that are still supporting us with aid are doing so because they are sorry for the completely innocent victims. But aid cannot fix the underlying problem. “So, still on the first point, to have money, we have to make it. When we’ve made it, we can decide – we can choose — in which currency it should be held, stored or banked. “And on the international currency markets, we could convert whatever we have into whatever we would prefer. But we have to earn it first. 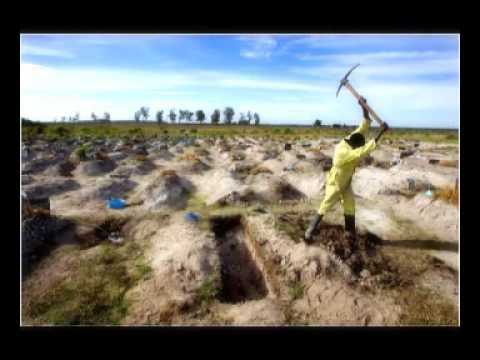 He said government disabled the whole economy, sweeping out of existence the collateral value of agricultural land. Not less than 500 000 people who used to have a job have now lost their jobs because the economy is only half the size it used to be. But another failing is that the business climate in Zimbabwe is so hostile that people who have money in the country are eager to bank it somewhere else. “So a bad situation is made worse by the lack of confidence that comes from harsh conditions that are imposed by things like business licences and permits, confiscations of mining claims, indigenisation demands, high taxes, Zimra’s ability to raid company bank accounts, police road blocks, power cuts, the Reserve Bank’s Priorities List, high interest rates, high wages, the problems involved in drawing cash and difficult labour laws, just to mention a few,” he said. Chakravati has said Zimbabwe gave itself extra problems by choosing a strong currency, the US dollar, when it could have done itself a favour by choosing a weaker currency, the rand. “The dollar is an international currency in great demand. It is therefore not possible for a developing country to maintain a dollarised economy while being surrounded by a non-dollarised region and world. “There will always be a continuous leakage or ‘externalisation’ of the dollar out of the economy,” he said. But Robertson said this claim is not untrue for those with a very short-term view, but it is very dangerous thinking. “The challenge Zimbabwe has to face is that it has to become competitive to make real progress and our producers have to continue improving to recapture the markets they want to serve. Any thought that we, as a country, can hope to succeed without having to become good at what we are doing is bound to be a very damaging thought. “If we can improve and if we do win markets in competition with the world’s best producers, it will not be long before we can regenerate our own currency again and make it a currency that is worthy of respect. “We cannot do that now, but we never will do it if we think we need only adopt a weak currency to become successful again. What we want we have to work for, so all the policies have to concentrate on getting Zimbabwe back to work and on getting the investors to commit to Zimbabwe’s longer-term future,” he said.